It is with great pleasure to announce the recipients of the SUTA’s 2018 awards in the following four categories. Dr. Mojtahedi’s Innovation Award recognizes the best research conducted in each department of Sharif University of Technology and is held this year for the third time. It was held in 2010 and 2016 as well. Winner: Mrs. Zahra Rezaei and Dr. Manoochehr Vossoughi, "Using Micro biosensor for Prostate Cancer Diagnosis"
In this category, the Awards Committee received seven nominations including few prominent long serving Sharif professors from different departments. After careful examinations and few rounds of deliberations and shortlisting, the Committee chose Dr. Firooz Partovi as the winner of this year’s Dr. Amin’s Lifetime Achievement Award. Dr. Partovi has been employee number two of Sharif University (second only to the late Dr. Mojtahedi himself). 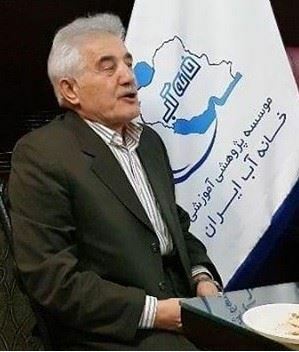 He was a young Physics professor in Polytechnique University when he was approached by Dr. Mojtahedi about the establishment of the then Aryamher University. Together they managed to recruit the first generation of the staff and faculty for the university. As an energetic young professor working through the first years of university, Dr. Partovi’s footprint can be seen everywhere on Sharif campus. Dr. Partovi founded the Physics department and was its professor from 1965 to 1985, as well as its chairman for a number of years. Moreover, he designed the program to computerize the student registration and record keeping. Dr. Partovi is a graduate of MIT and in addition to Sharif University, has worked at MIT, Harvard, Tehran Polytechnique, and Mazandaran University (where he was one of the founders), in areas covering nuclear physics, laser surgery, voice recognition, and computer science as applied to financial markets. Dr. Partovi’s impeccable track record and likeable personality has made him highly respected among his peers and former students. Dr. Partovi lives in Seattle and has been a speaker in one of the events of the SUTA’s Seattle Chapter in 2017. In recognizing Dr. Partovi, SUTA appreciates a generation of hard working and talented individuals who did the groundwork for creating a world class university. Dr. Partovi is one of the very few remaining members of that generation who in fact preceded Dr. Amin himself. The Awards Committee received fourteen nominations in this category. The list contained some truly successful Sharif alumni from academia and industry belonging to different age groups. This made it particularly difficult for the Awards Committee to agree on one individual. After much discussion on emails and conference calls, the Awards Committee chose Professor Mona Jarrahi from the University of California at Los Angeles. Professor Jarrahi is a world class expert of Terahertz Electronics. She received her B.S. degree from Sharif University in 2000 and her M.S. and Ph.D. degrees from Stanford University in 2003 and 2007 all in Electrical Engineering. After a short postdoc position at UC Berkeley and faculty appointment at University of Michigan at Ann Arbor, she joined UCLA in 2013 where she is currently a Professor of Electrical Engineering and the Director of the Terahertz Electronics Laboratory. 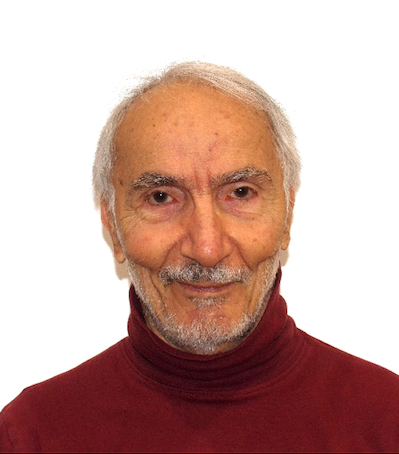 Professor Jarrahi has made significant contribution to the development of ultrafast electronic, optoelectronic devices, and integrated systems for terahertz and millimeter-wave sensing, imaging, computing, and communication systems by utilizing novel materials, nanostructures, and quantum well structures as well as innovative plasmonic and optical concepts. The outcomes of her research have appeared in 150 publications and 120 keynote, plenary, and invited talks and have received a significant amount of attention from scientific news outlets including Huffington Post, EE Times, IEEE Spectrum, etc. She is the recipient of several international and national prestigious awards including the Presidential Early Career Award for Scientists and Engineers (PECASE); Friedrich Wilhelm Bessel Research Award from Alexander von Humboldt Foundation, Moore Inventor Fellowship by Betty and Gordon Moore Foundation. In its 50th anniversary celebration, she was chosen by Sharif University as one of its fifty distinguished alumni. 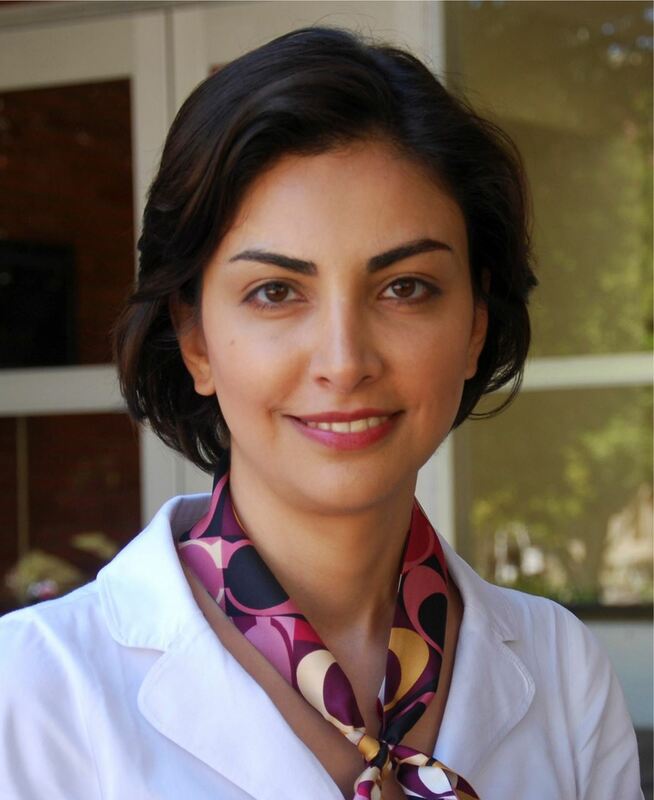 In 2016, Dr. Jarrahi attended SUTA’s biannual reunion in Washington DC and spoke to the audience about her research activities. Dr. Jarrahi is a perfect example of the post revolution outstanding Sharif alumni whose achievements have led to our university’s worldwide reputation. The Awards Committee received four nominations in the Staff and Service Award category and chose Mr. Hassan Noorbakhsh from the Physical Education Department as the recipient of the 2018 award. Mr. Noorbakhsh joined Sharif University in 1970 and worked as a coach and athletic trainer for several decades. While he retired few years ago, he still holds his teaching position at a part-time capacity. In addition to his long years of service to the university and students, he has also become an international basketball referee and held various positions such as Head of the Iranian Basketball Referees Committee, Manager of the Organization of Iran’s Top Basketball League, Head of Tehran Basketball Organization, Member of the Board of the Iranian Basketball Federation, and Head of the National Iranian Basketball Team. He has also been a member of the National Students Basketball Team when he was a student. His sportsmanship and personal care for students has made him a popular coach on campus and his contribution in taking the university to a higher standard in sport through hosting competitions and hiring well-known basketball coaches has been exemplary. In selection of Mr. Noorbakhsh, SUTA recognizes the valuable service of individuals who over many years have contributed to the diversity on campus and have helped to create a joyful college experience for the students as they go about their studies.